It is somewhat fitting that the thirteenth entry in my fantastic adventures series is a bit of a troublemaker. 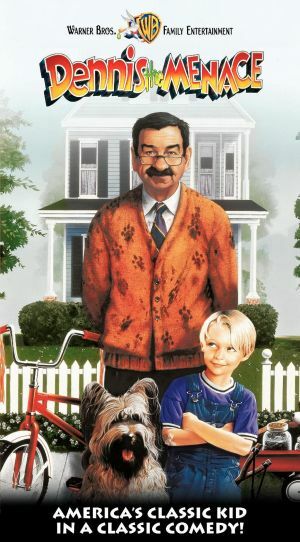 The classic character Dennis the Menace made his live action film debut in 1993 in the film Dennis the Menace. The story branches out a bit from the Sunday comics and centers around Dennis’ hometown, which is known for its safety and security, being visited by a jewelry thief. Dennis, up to his usual pranks, ends up being kidnapped by the thief, who instantly regrets taking such a bratty kid hostage. You also get great interaction with Dennis and Mr. Wilson, as Dennis plays most of his pranks on the unsuspecting Mr. Wilson. Why it is a fantastic adventure: Aside from having a lot of fun watching Dennis’ pranks unfold, your kids will learn quite a few things along the way. Dennis learns that pranks have their consequences, and may even hurt the people you care about. 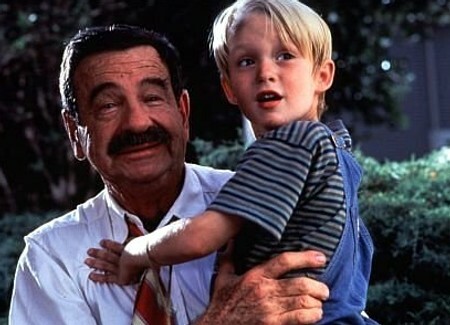 This film is a great way to introduce your kids to the great comedy of Walter Matthau. It is all family friendly fun that will have your kid laughing for days. Another great teaching moment in this film deals with running away. I’m sure every kid has had at least one serious thought of running away from home. After Mr. Wilson gets upset at Dennis for pulling one too many pranks, Dennis runs away from home, only to be kidnapped by the evil, scary looking jewelry thief. The scenes with the jewelry thief (brilliantly played by a creepy looking Christopher Lloyd), may be a bit scary for the youngest kids in your home, but your youngsters will be too busy laughing at the jewelry thief and what Dennis does to him, that they will enjoy every moment of the film. Out of all of the entertaining and tense moments in this film, the touching scenes between Dennis, Mr. Wilson and Mrs. Wilson are the ones that really stand out above the rest. They are heartwarming, truthful and a great way for your kids to see the value of friendships and loved ones.